There are some unusually cheap flights showing up from Edmonton to Auckland, New Zealand for $993 CAD roundtrip including taxes. This is about 40% cheaper than flights from Edmonton to New Zealand ever usually get. The flights are using a combination of Alaska Airlines and Hawaiian Airlines, and have an overnight layover in Seattle on the way back. Update 1 @ 9:09 AM MST: I've gone through the list of dates and noted which dates seem to be sold out, and which are still working. For dates that appear to be sold out on ITravel2000.com, you may want to try on WebJet.ca or Flight Network or Momondo.ca - it *may* still be possible to book those dates through one of those sites. 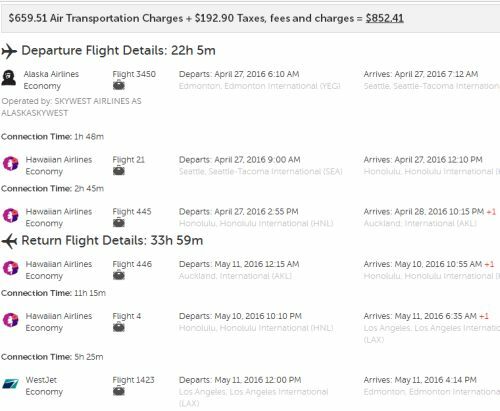 Update 2: March 17 @ 1:43 PM MST - There seems to be some of these flights popping up again, but for even less, at $988 CAD roundtrip including taxes. There's even one for $852 CAD roundtrip. I've noted the new working dates in the list below. Remember that New Zealand's seasons are the reverse of our seasons here in North America. 2. Click on 'Edit your search' (top right) to try other dates. The map below will show you some great deals on AirBNB accommodations in an ideal location in Auckland for under $99 CAD/night for 2 people. edmonton, yeg, flight deals, new zealand, australasia and oceania, auckland, akl, hawaiian airlines and alaskan airlines. 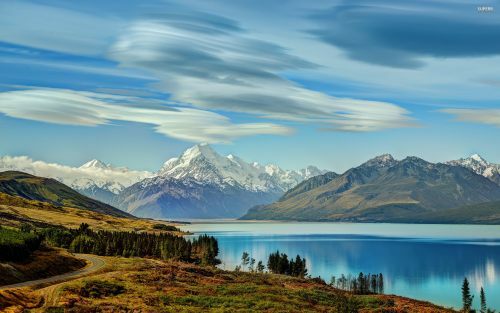 One Response to "Edmonton to Auckland, New Zealand - $852 to $988 CAD roundtrip including taxes"
Update @ 9:09 AM MST: I've gone through the list of dates and noted which dates seem to be sold out, and which are still working.